This spring you benefit every Monday from a 50% discount on the area above 150 cm². All tattoo removal that exceeds the size of a postcard will be at half price! This promotion can not be combined with other promotions. *Valid from 1 March until May 31, 2019. In need of a fresh start? TattooClear wants you to be proud of your skin again. As specialists in tattoo removal, you can count on our expertise in advanced laser technology, focused on tattoo removal. 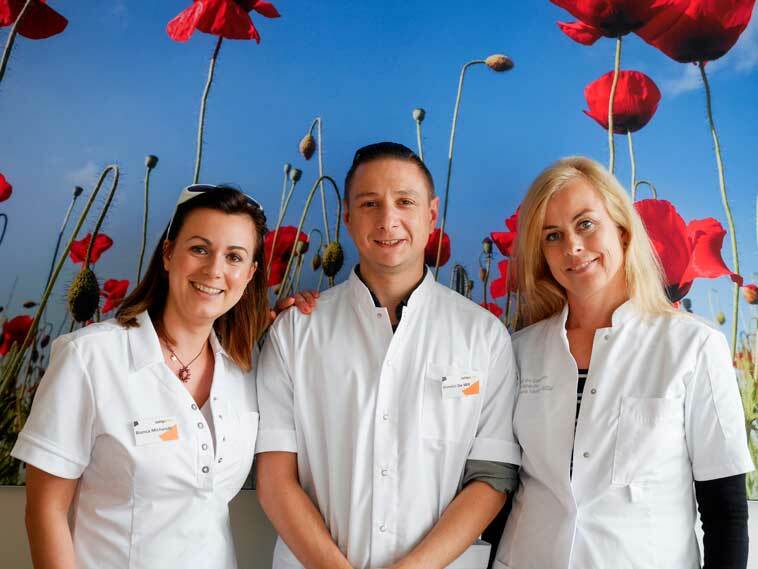 TattooClear has everything you need for the removal of your unwanted tattoo in Hasselt, Geel, Zaventem and Aarschot. Equipped with ultramodern devices, the employees in each center provide you with ‘clear skin’ and advice. With TattooClear you can remove tattoos and make room for a new one or remove an unwanted tattoo once and for all. What are you waiting for? Get your fresh start with TattooClear! You send us a clear picture with dimensions of your tattoo via hasselt@tattooclear.be, geel@tattooclear.be, zaventem@tattooclear.be or aarschot@tattooclear.be. This way, if possible, we can give you an estimated price, the number of sessions and the expected result based on the information received. You contact us by phone beforehand to book a free intake session where we discuss and investigate the tattoo to be removed. TattooClear works with advanced laser technology to ensure the best treatment for your skin. Our devices emit a selective beam of light that is ‘absorbed’ by your tattoo and cause disintegration of the ink. Your body will drain the ink particles through your lymphatic system. This means the laser stimulates a natural process. After each session, the ink of your tattoo will fade a little further, until it eventually completely fades. The number of treatments required and the result highly depend on the amount of ink used, the colors used and depth of the tattooing. 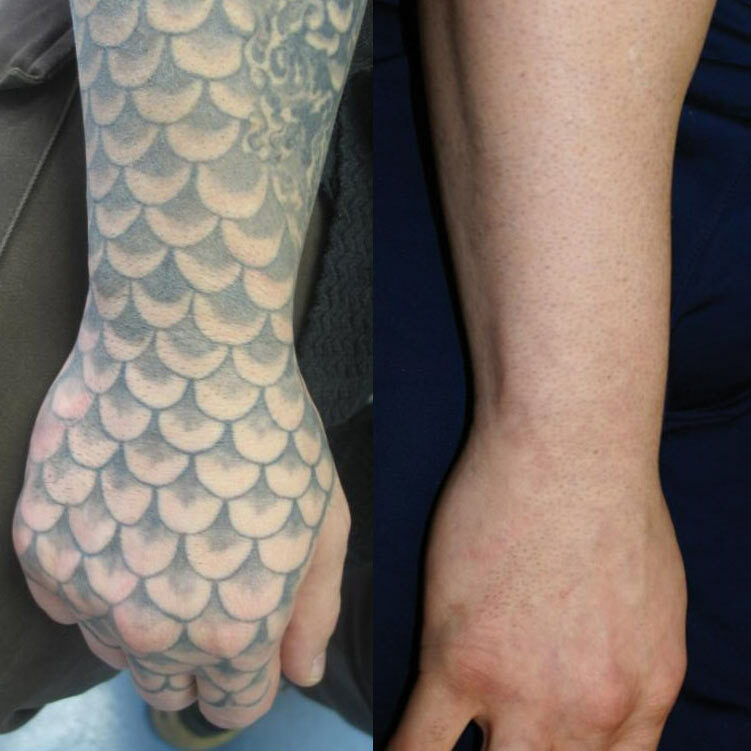 Moreover, the effect of laser tattoo removal differs per person: maybe you need a few more or a few less treatments. That is why the intake session is of great importance. A TattooClear treatment usually costs more than the placement of a tattoo. 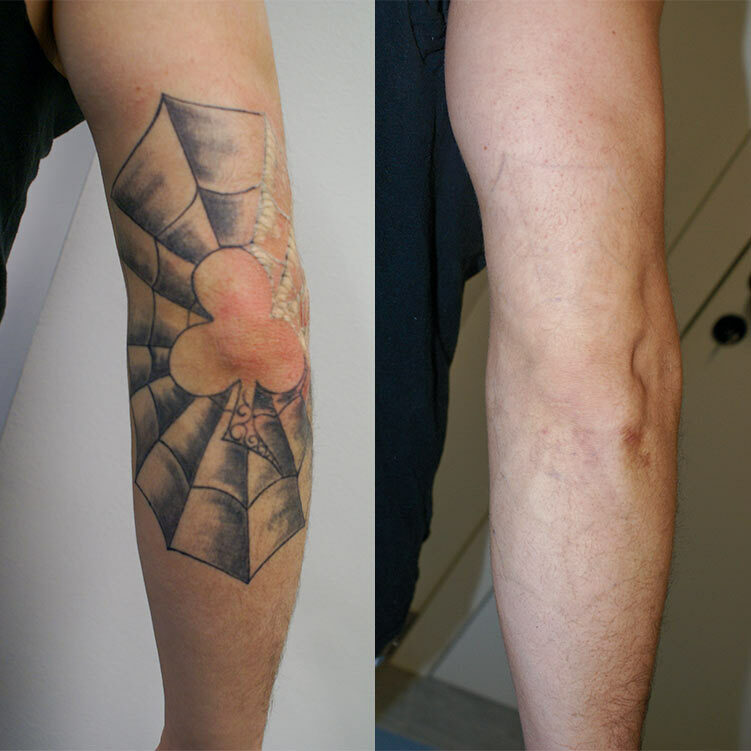 For this price you are sure of a removal procedure that is adapted to your skin type and the nature of your tattoo. Of course, the final price depends on the number of treatments needed to achieve the desired result. We discuss everything with you during the intake session. You can ONLY pay by card (Bancontact, Visa, …) or with Payconiq. A tattoo removal is done in different phases with intervals up to 2 months between each treatment. This way your skin has enough time to recuperate. Just as with getting a tattoo, there is some discomfort associated with the removal process. Generally, tattoo removal is said to be more painful than its placement. However, our employees do everything to make your TattooClear experience as comfortable as possible, for example by using a mild numbing cream and applying cold treatments. Does the treatment leave scars? In contrast to the tattoo removal methods from a few years ago, the latest generation of laser treatments leaves almost no scars or skin damage. Only a 'clear skin'! Our employees also take your skin type, ink color and depth of your tattoo into account to calculate the optimal timing and approach. The aftercare, for example avoiding sun contact, is also important here. Of course, we also advise you in this. Do you still have questions? Aks them now! You can contact us in Hasselt, Geel, Zaventem and Aarschot. Do you still have questions or do you want to make an appointment right away? Contact us now! Fill in the information form below and we will contact you as soon as possible!